From your inside to your outsides, and the world around us... We're all about being happy, healthy, and just a little bit cheeky. The post 10 Ways to Spring Clean Your Life Today appeared first on Happy Skincare. Sometimes Even You Don’t Know What You Are Capable Of! This week Claire is the source for our inspirational story. Claire has a sad story which I will not go into because it is not my place. You see…Claire’s story is a perfect example of the power of unconditional (what I call ugly) love. They Can Irritate, Frustrate and Annoy Us! But For Some Reason We Still Love ’em! 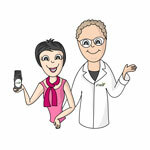 This week Happy Skincare has the pleasure of having Kathy H. as our Face of the Week! Kathy wrote to us about her recent visit to Melbourne to catch up with family whom she hadn’t seen in a while. On first read it was a nice simple story but I didn’t give it the attention it deserved. I was distracted by the noise of everyday life and didn’t fully appreciate the message within Kathy’s story. Can You Remember Being a …. New Mum? Sally M our Face of the Week is a Mum of only one month to beautiful Hannah. We were touched by Sally’s story because she is so happy and excited being a mum for the 1st time. This is so refreshing because people always seem to only tell you about all the negative aspects of being a parent. Hello! This week Sussi M is our Face of the Week. To say Sussi has had her fair share of sadness is an understatement. I am not going to go into the tragedies suffered by Sussi and her family because it is a very personal story and I would rather tell everyone of the positive view Sussi has on life. Have We Found Australia’s Best Husband Whisperer? Jayne H from St Helens in Tasmania gets the prize this week for her ‘against the odds’ achievement. Jayne (through her self-confessed nagging) has broken through the Aussie male façade! Her lovely husband has finally cracked and now understands the need to take care of his skin. Julie G named Face of the Week! Julie was courageous enough to put her name forward and is a great example of keeping a positive frame of mind. Julie is a proud mother of 4 grown up children who are now giving her the joy of being a Grandmother. Between us I think Julie is just a little excited about being a Grandmother for the first time which is fantastic! The Face of Happy Skincare REVEALED!! It is our pleasure to announce Bronwyn P, as our first ever ‘Face of the Week’! Bronwyn’s story is of an everyday Mum doing everyday things extraordinarily. Bronwyn is a mother of two beautiful children and she is being an exceptional Mum to them both. Bronwyn and her family suffered a tragedy 18 months ago with Bronwyn unexpectedly losing a husband and her children losing a father. The post Get “Wow Winter Skin” Video appeared first on Happy Skincare. Do you have what it takes to be the Face of a Beauty Company? We think you do! Read on to find out why. Well, the local news just called today a superb Winter’s day and I tend to agree with them. Before I dive head first into this month’s newsletter check out the following video because it provided the inspiration. You may be thinking that you haven’t heard from us in a while. You’re right – we took some time out over the past weeks to welcome our new son Corbin into the world. We are now incredibly proud first-time parents. But now we are back with a bang. I recently had my yearly visit to the dermatologist. I go once a year because I have very fair skin and living in Australia puts me in the high risk category for skin cancer. Every dermatologist I have seen has told me similar thing. I should be living in Scotland, England, Norway or Alaska.